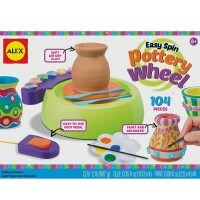 Your children will have tons of creative fun making unique pottery pieces on their own with Artist's Studio Pottery Wheel by Alex. 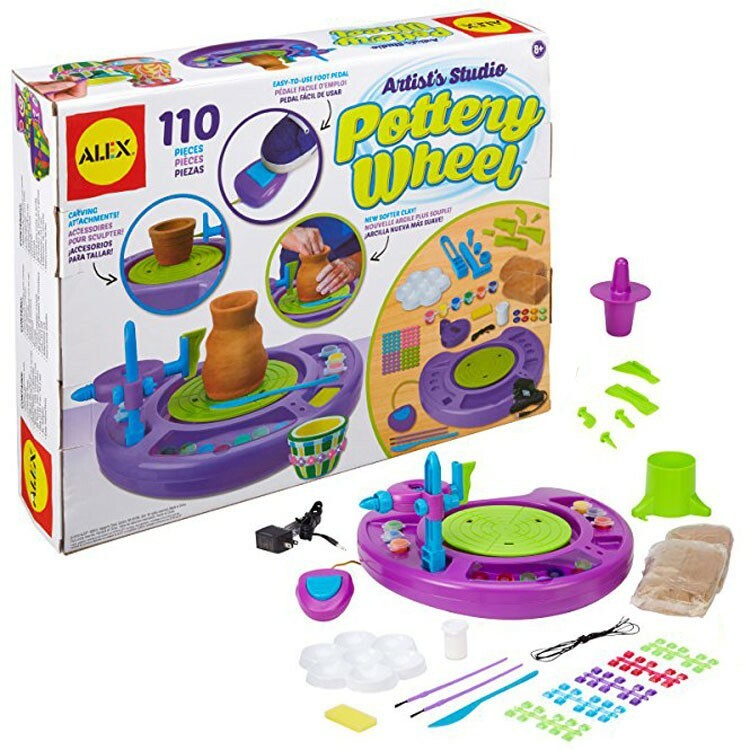 Your children can now enjoy making unique pottery pieces on their own with the updated version of the bestselling Alex Artist's Studio Deluxe Pottery Wheel Pottery Making Kit! 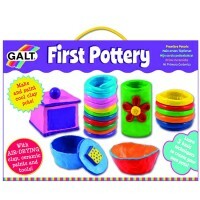 Beautiful flower pots, vases, bowl, cups and other ceramic creations can be made on this children pottery machine. This award-winning kids pottery wheel is exactly like the ones for the pros! 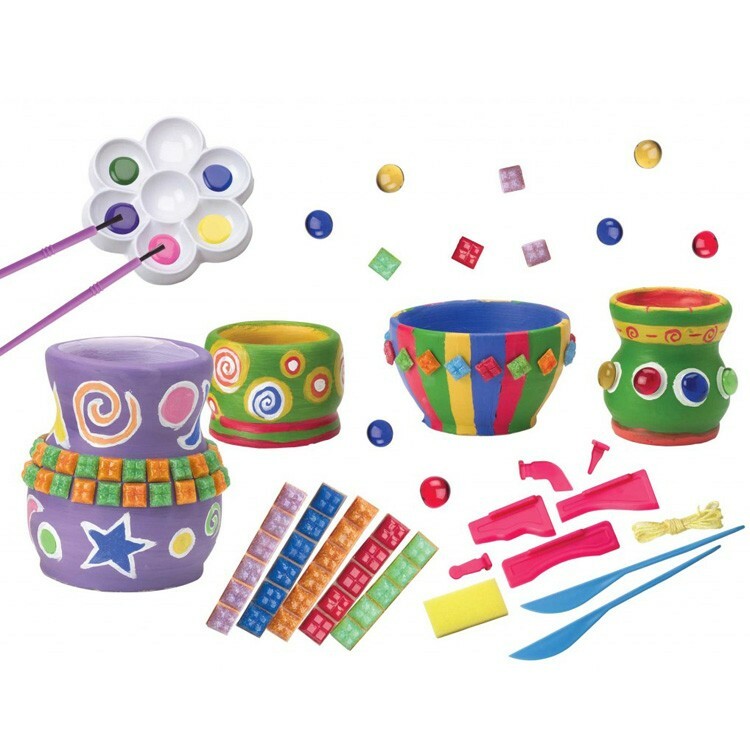 Your child's imagination and all the supplies from this ceramic making kit will allow the young artist to add details by carving out lines, adding polka dots, or attaching some mosaic tiles! 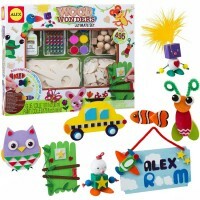 The children can paint the finished pieces and proudly display them or present them to somebody they love. 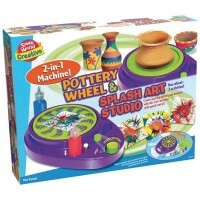 Artist's Studio Deluxe Pottery Wheel Pottery Making Kit features 110 pieces to make your own pottery. The pottery wheel kit comes complete with 6 unique carving attachments with an adjustable tool arm, carving blades, outline shaping tools, 2 lbs. 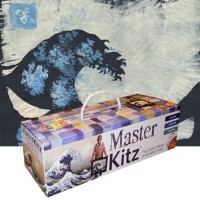 new softer air-drying clay, 6 colors of paint, sponge, paint palette, 2 brushes, clay cutting cord, 80 mosaic tiles, 8 glass jewels, glue, and guide book. Enclosed special foot pedal allows you to control the speed of the moving pottery wheel. 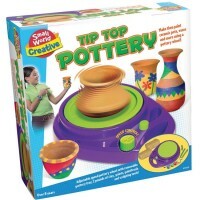 AC adaptor is included with the Deluxe Pottery Wheel Pottery Making Activity Kit from Educational Toys Planet. So, everything is ready! 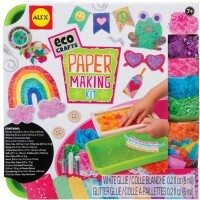 Let's the creative fun begin! Dimensions of package 0.185" x 0.135" x 0.035"
Write your own review of Artist's Studio Deluxe Pottery Wheel Pottery Making Kit. 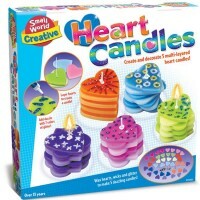 Rating: 5 by Judith, CO Well thought-out and executed product. 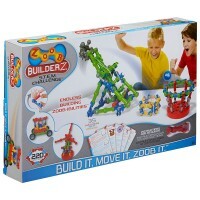 It offers many hours of creative activity that is a lot of fun for the user. 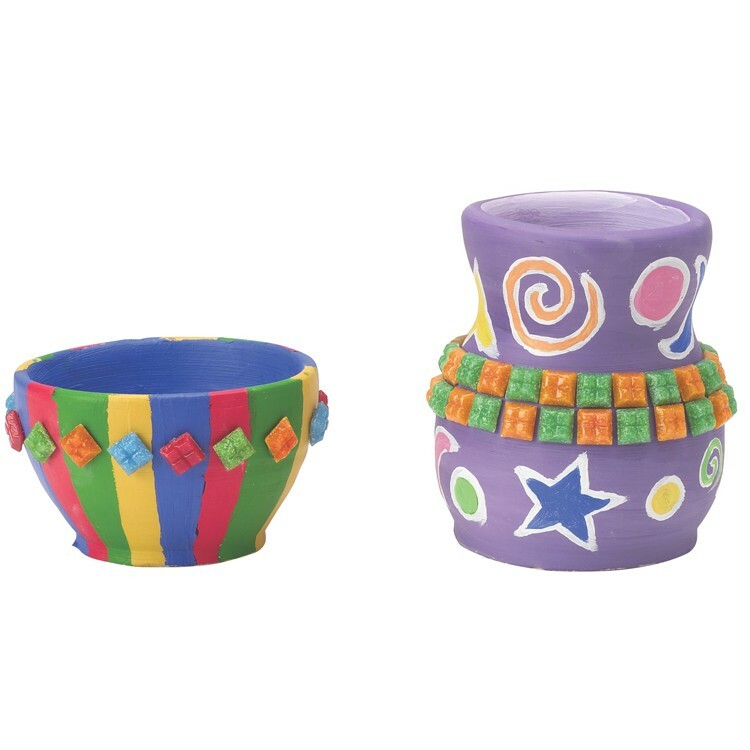 My granddaughter is still busy making little pots!